Wed., April 9, 2014, 12:21 p.m.
A year after fatally shooting Brendon Kaluza-Graham, who was speeding away in his SUV, Gail Gerlach said the only thing he did wrong that day was mistake keys for a gun. Gerlach said he wishes now he’d stayed in bed the morning of March 25, 2013, when he fired a single bullet that struck and killed Kaluza-Graham. Gerlach estimated in court he saw threatening gestures from the driver, who he identified in court as Kaluza-Graham from a photo, when his SUV was about 10 feet away, driving south and away from his home. Gerlach has been charged with first-degree manslaughter. He faces up to a decade in prison if found guilty. 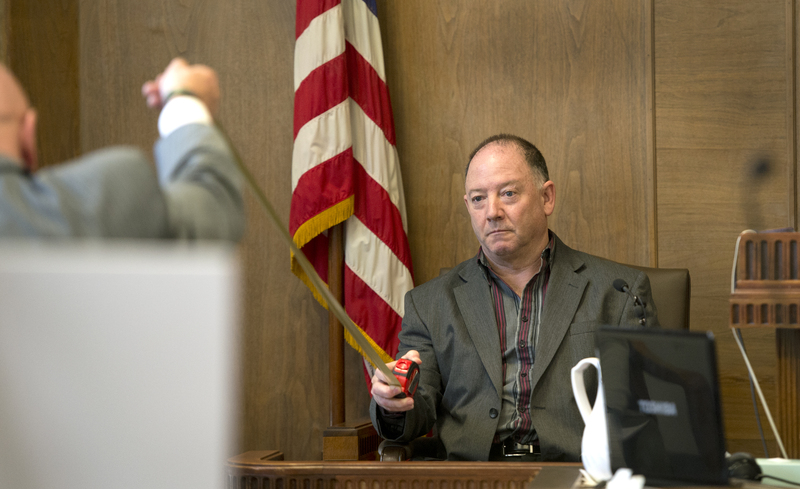 In the moments before pulling his weapon and firing, Gerlach said he saw what he thought was a gun in Kaluza-Graham’s right hand. He said he could only see silhouettes, but was afraid Kaluza-Graham was pointing a pistol at him through his back window. “I thought, ‘This is it,’” Gerlach said. Under questioning from prosecuting attorney Deric Martin, Gerlach said he wasn’t aware children were gathering at a bus stop near where the shooting took place. But he said he would have acted in the same way even had he known they were there. “Even if you had been aware, as you testified in direct examination, any kids at that bus stop would have been collateral damage,” Martin said. “I didn’t miss,” Gerlach said. After his testimony this morning, lasting a little under two hours, the defense rested its case. Court will reconvene this afternoon for closing arguments, and then the jury will deliberate. Published: April 9, 2014, 12:21 p.m.